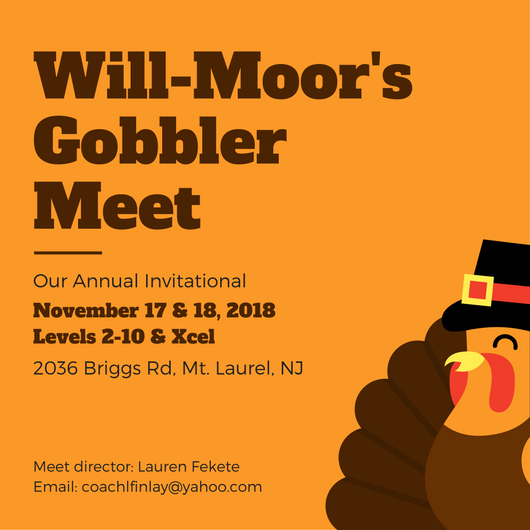 This page will show all of Will-Moor’s Invitational Meets which will be hosted at our 2036 Briggs Road facility. Please use our entry forms below for your team rosters and don’t forget to check back often for updates. We are only accepting entries using the USAG Reservations system. Please click on images to view & download a PDF file with each meet’s information.